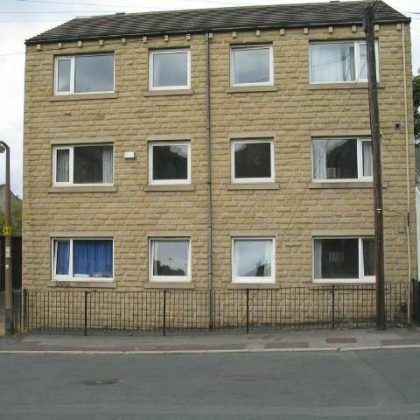 HudLets are pleased to be able to offer to students this 6 bed-roomed property in a popular student area of Huddersfield. The internal structure of the property is finished to a high standard and needs to be viewed to be appreciated. The house has one bathroom,two shower rooms and two toilets. 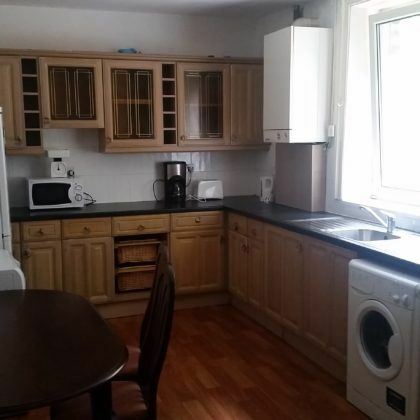 This property has recently been refurbished and each bedrooms have now got a sink, fridge, kettle and microwave in there for you own convenience. Large communal dining kitchen and lounge for you all to share. HudLets are pleased to offer to students a fully furnished four bedroom flat. Each of the 4 bedrooms features a sink as well as a double bed, wardrobe and desk & chair and the flat has two bathrooms, a lounge with large floor length windows and kitchen with washer and dryer included. It has a large car park which is free to use for all tenants on a first come first served basis. The local village of Moldgreen is a two minute walk away from the flats. HudLets are pleased to offer to students a fully furnished four bedroom flat. Each of the 4 bedroom features a sink as well as a double bed, wardrobe and desk & chair and the flat has two bathrooms,a lounge with large floor length windows and kitchen with washer and dryer included. The property is a 15 minute walk from campus It has a large car park which is free to use for all tenants on a first come first served basis. The local village of Moldgreen is a two minutes walk away from the flats. 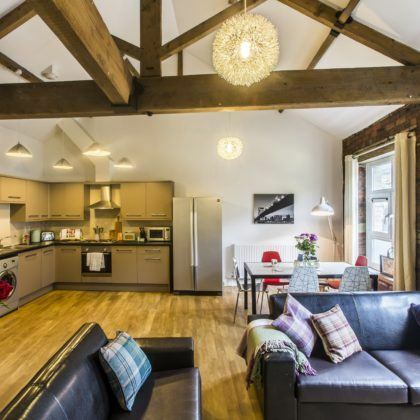 HudLets is pleased to be able to offer to the student market six large modern en suite bedrooms, all with smart televisions and their own luxury shower, toilet and basin. The house features a communal bathroom and a large stylish kitchen with breakfast bar and lounge area with smart television. There is a separate utilities room. Garden to relax in and free on street parking. The property has individual door bells with audio system, CCTV and wired in broadband and WIFI. Gas,Electric, Super-Fast Virgin Media Wi-Fi Internet. Stunning new build 6 bed, 3 bath property which runs over three floors (2 shower rooms with WC and 3rd bathroom with a Bath plus WC. Bathroom located on each floor), with parking. 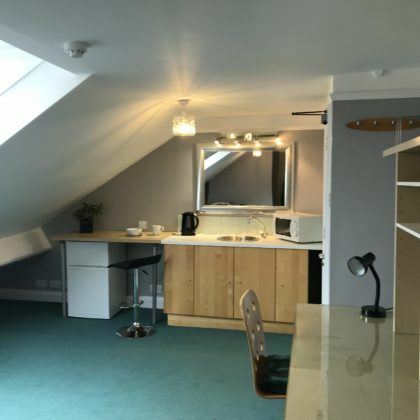 All bedrooms are double sized, built in desk, fitted wardrobe, built in bed with storage underneath, photo wall paper of a Huddersfield aspect, a black board wall for chalk fests and WIFI point. 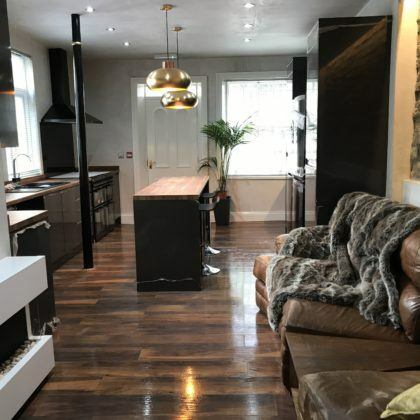 Modern open plan kitchen / lounge with a fully fitted kitchen located on the lower ground floor, fully fitted with breakfast bar and bar stools. Communal lounge opens from the kitchen with a flat screen tv and very large sofa bed ideal for downtime and relaxing and socialising with house mates. Secure rear garden with bi-folding door which opens onto a rustic gravel base for bbq’s and chilling in the sun. Just 9 minutes’ walk to the University on foot, parking to the side of the property which is handy for a commuter base. Minutes from local shops or larger supermarket chains such as Sainsburys, Lidl, Pizza Hut and the Kingsgate Shopping Centre. WIFI, Dishwasher, Washer/Dryer, 2 x Fridge Freezers, Kettle, Toaster, Microwave, Hob, Oven, Extractor Fan, Wooster Boiler, Flat Screen TV, Garden with outside seating. Hands on landlord with WhatsApp group style management, effective response approach to issues and maintenance. 24/7 Emergency ‘WhatsApp call out with the Landlord’. Available upon request from previous Student tenants…. 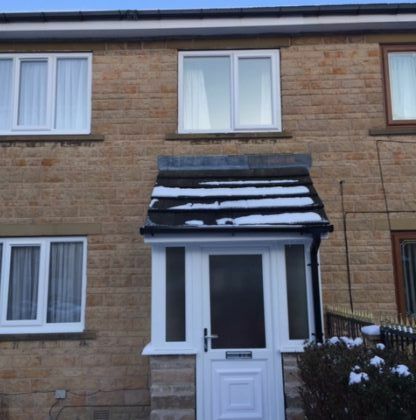 HudLets is pleased to be able to offer to the student market this four bedroom newly decorated detached house, in a quiet area but close to the university and shops, take-aways and pubs. 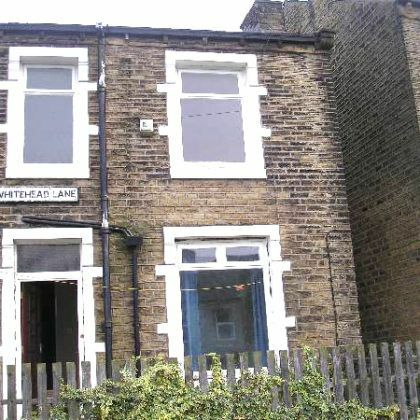 The property is spacious with three double bedrooms and one good sized 3/4 bed. There is a separate living room, and large dry cellar for washing machine and additional storage. 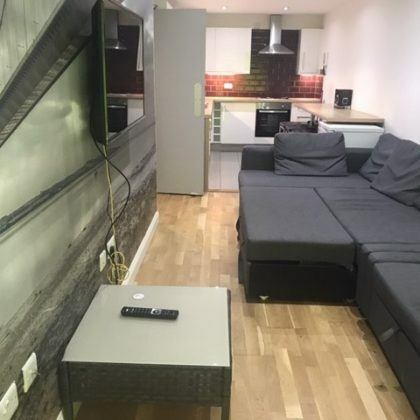 Walking distance to the University is only half a mile away.Bills inclusive package includes gas, water, electricity, Ultra fast Internet at 350mg and TV with licence, three rooms at £78, 3/4 room £74 per week. 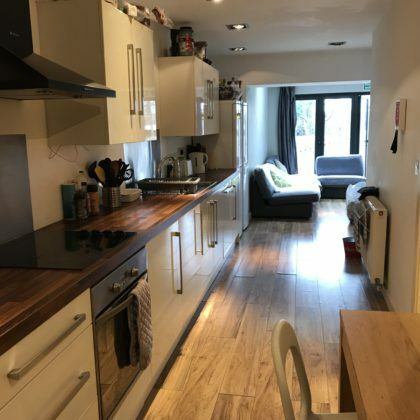 HudLets is pleased to be able to offer to the student market this fantastic student accommodation which comes highly recommended, living with a host landlord. Breakfast and evening meals are provided along with a free laundry service. 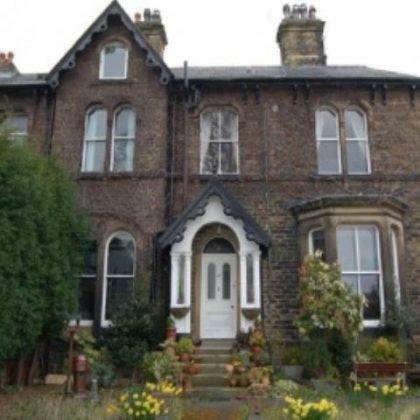 The property is a large, comfortable Victorian house on a busy bus route with a bus stop outside. Games room with 7 foot pool table, table tennis, multi gym and cross trainer are all included in the rental price. The house also has a B&B room for visiting families. There is a parking space in rear courtyard and enclosed gardens to the front, ideal for BBQ’s. You have views of the Stadium from the bedrooms.